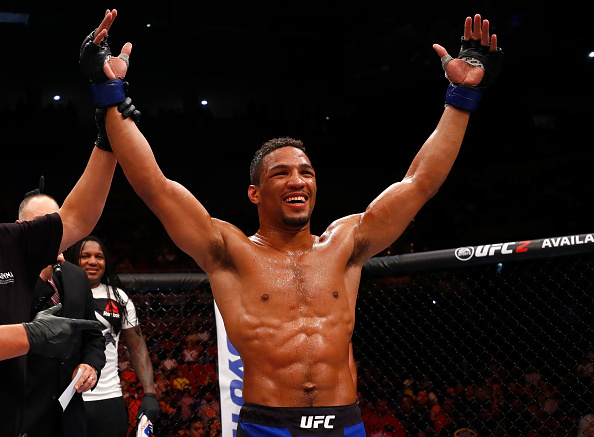 Currently riding a four fight win streak in the UFC and with a professional record of 18-2, Kevin Lee has just confirmed that he has been brought in to help Floyd Mayweather prepare for his proposed super-fight with Conor McGregor. Over the past few weeks, it has looked increasingly certain that Conor McGregor and Floyd Mayweather will inevitably throw down in a boxing ring. Speaking last weekend, McGregor stated that the pair were ‘very close’ to inking a deal while last week, UFC President Dana White acknowledged for the very first time, that he thought the fight was going to happen. Now, speaking with Helen Yee of Eyes On The Game (per Bloody Elbow), UFC lightweight Kevin Lee has announced that he will be helping the undefeated boxer to prepare for the bout. Lee went onto discuss the consequences of the bout for McGregor and how the fight will affect the worlds of boxing and MMA. Discussing the fight in greater detail and how exactly he can help Mayweather prepare for the bout, Lee discussed how McGregor will likely try to deploy some MMA tactics by roughing up the 40-year-old in the clinch. Surprisingly, the UFC lightweight also stated with absolute certainty that Mayweather will not be able to knock out the Irishman.